Eat Your Veggies: Adobong Gulay | Hapa...Shot the Food! Instructions: In a pan, heat oil, and then add peppercorn and bay leaves. 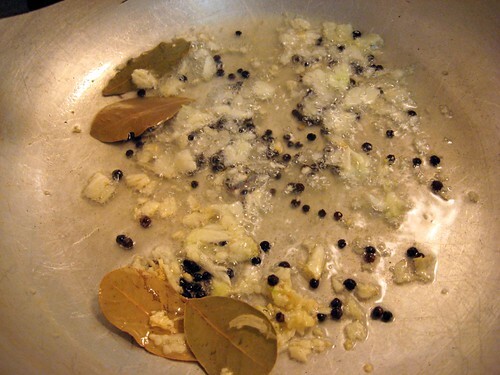 When the bay leaves start to turn brown, add the garlic. 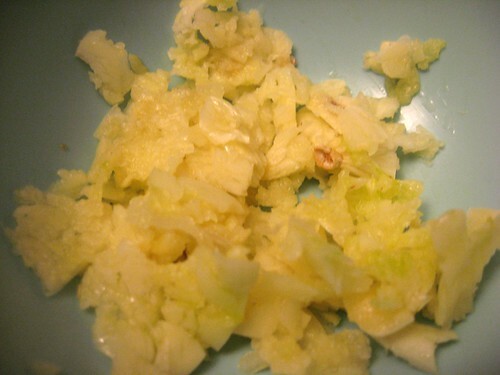 Saute until brown. 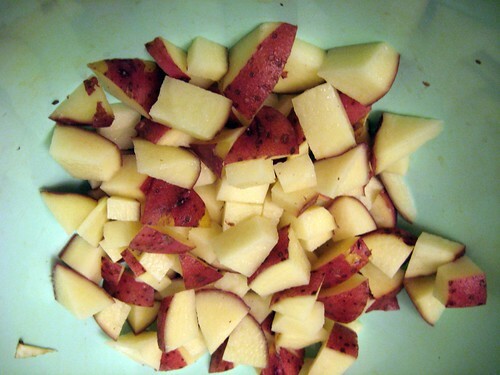 Then add the onion and fry until translucent. Add the pepper and the sugar, stir briefly to mix, and then add the soy sauce and vinegar. 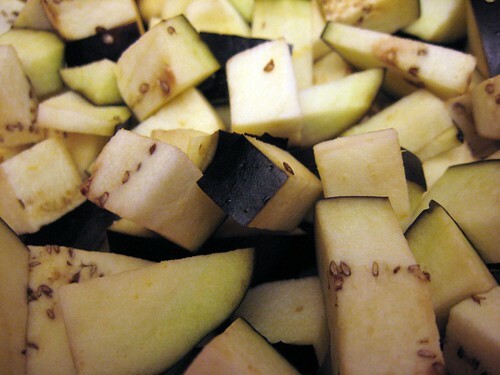 Lower heat to medium, and then add the potatoes and eggplant. 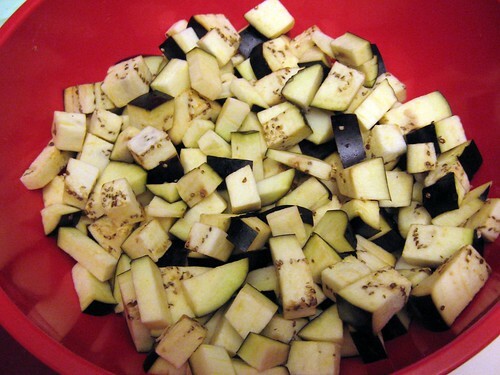 Stir briefly then simmer, covered, around 20 minutes for the potatoes and the eggplant. They should be soft but not mushy. Add water if liquid level drops too low. You don’t want to burn this dish. You just need enough liquid to cover the ingredients. Serve over rice. Serves up to 8 people depending on how much you want to make. Probably my most common food shot, but… Hail to the Redskins! I think next time, I should put the potato in before the eggplant, especially if I’m using redskins (despite what the recipe says). I also should cut the onion just a little bit larger and not process it any further. 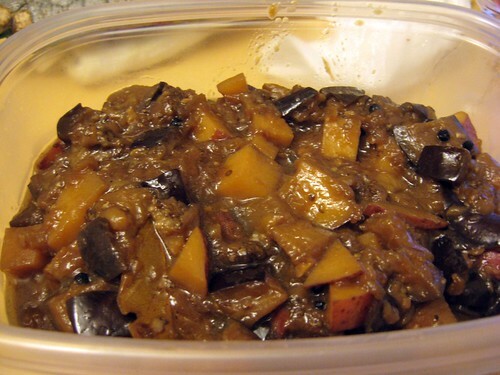 Posted on October 16, 2009, in Asian, Eat Your Veggies, Filipino, recipe, Uncategorized, vegetarian and tagged adobo, adobong gulay, vegetarian. Bookmark the permalink. 4 Comments. Pingback: Adobong Gulay…The Second Time Around « Librarian…Shot the Food!